In states like Georgia and Texas, population growth and strong minority turnout propelled liberal Democrats such as Stacey Abrams and Beto O'Rourke to come close to statewide victories once thought impossible. The Solid South is no more. This month’s midterms revealed a South that is essentially splitting in two. In states like Georgia and Texas, population growth and strong minority turnout propelled liberal Democrats such as Stacey Abrams and Beto O’Rourke to come close to statewide victories once thought impossible. Yet the Old Confederacy states in between are mostly holding to form, with white majorities giving President Donald Trump high marks and conservatives a clear advantage going forward. One or the other wasn’t enough. For instance, Democratic hopes to make inroads in Kentucky and Tennessee failed because there weren’t enough minority voters to rely on. Meanwhile, the GOP maintained its grip on Alabama and Louisiana, states that have a significant minority population but where white voters in metro areas often voted in line with their rural counterparts. The same scenario could play out Tuesday in Mississippi’s runoff election for a Senate seat. That’s what makes Georgia and Texas stand out: The two factors were simultaneously in play to turn statewide elections competitive for the first time in a generation. 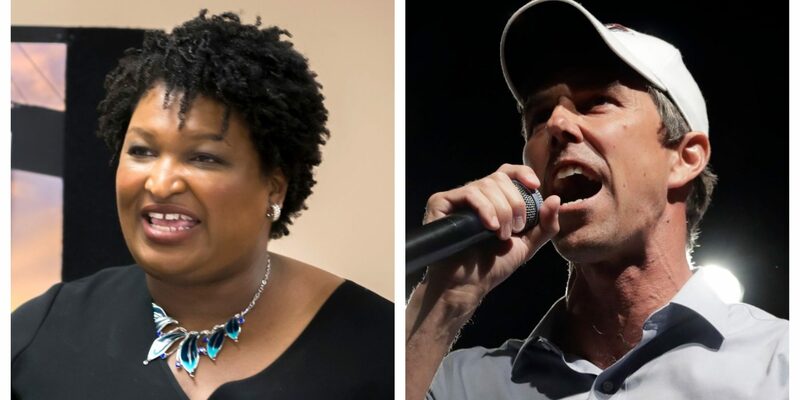 That didn’t translate into victory for Abrams or O’Rourke, but the results could help Democrats navigate the upcoming debate over the type of presidential candidate to select. It could also help the party decide where to send financial and organizational resources. Trump, meanwhile, may have to pay more attention to places that have traditionally been loyal to the GOP. Democrats are happy to embrace those changes, even if they’re not uniform. “What we’re talking about here is parts of the South starting to look like the rest of the battlegrounds around the country, where Democrats can stitch together a diverse coalition and win,” said Boyd Brown, a Democratic consultant and former state lawmaker from South Carolina. “But then we still have such a bad brand with small-town whites,” said Brown, who is white and comes from a rural part of the state. At the other end of the spectrum is Mississippi, where the Old South’s racial politics has been on stark display ahead of the Senate runoff between Republican Cindy Hyde-Smith, who is white, and Democratic former Agriculture Secretary Mike Espy, who is black. Falling between Virginia and Mississippi is perpetual toss-up Florida; North Carolina, which has been a presidential battleground since 2008; and Georgia, which could debut as a presidential battleground in 2020 after Abrams’ got a surprising 49 percent of the vote in her bid to become America’s first black female governor. Texas is a wild card, with O’Rourke coming within 3 percentage points of Republican Sen. Ted Cruz in a state Trump won by 9 points in 2016. Georgia saw mixed results, with metro areas gaining strength, but whites in Georgia still leaning far more to Republicans than whites nationally. Abrams drew enough nonwhite voters and white liberals to the polls to outperform Hillary Clinton’s 2016 presidential vote totals. But Abrams still fell about 55,000 votes short of Brian Kemp because of his nearly 3-to-1 advantage among whites. VoteCast showed 82 percent of small-town and rural white Georgians backed Republican House candidates. The Republican advantage was 68 percent to 30 percent among suburban whites. The margin among urban whites was narrow, 52 percent for Democrats to 46 percent for Republicans. Still, the long-term trends could be a warning sign for Republicans. Those rural whites cast 26 percent of ballots, and suburban whites cast 30 percent — both figures modestly lagging the national marks and likely to shrink as Democrats’ base in Atlanta grows. Tennessee showed Democrats’ reliance on nonwhite voters even where there is a growing metro area like Nashville. Whites in Tennessee trended slightly less Republican than in its neighbors to the south, but nonwhites made up just 17 percent of the electorate — compared with 38 percent in Georgia. The result: Democrat Phil Bredesen lost the Senate race by double digits. Despite Abrams’ loss in Georgia, Democrat Lucy McBath won a suburban congressional seat that had been in Republican hands since one-time House speaker Newt Gingrich was first elected four decades ago. A neighboring GOP district is headed to a recount with a narrow GOP lead; and Democrats flipped state legislative seats across the northern Atlanta suburbs. In Texas, O’Rourke fell short, but Democrats ousted once-safe Republicans from suburban congressional seats outside Dallas and Houston, and the party picked up at least a dozen state legislative seats. Cowden, the Republican pollster, said by his count 43 percent of the statewide ballots came from five counties, all in growing metro areas. “Texas may not turn blue in 2020, but that doesn’t bode well for Republicans,” he said. The post Midterms Reveal South Split Along Urban, Rural Differences appeared first on 90.1 FM WABE.